The Lithuanian managed to make up for his mishaps last year. His teammate Areruya did not suffer the same fate: he came out of control in the penultimate place. 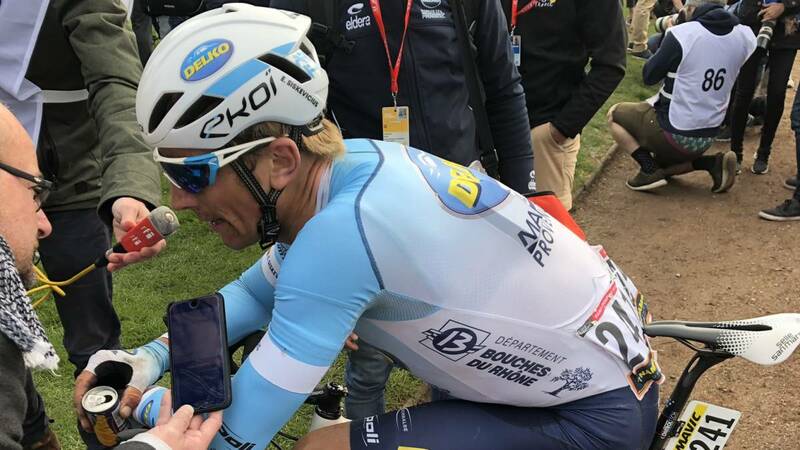 Evaldas Siskevicius logró remedy last Sunday of the bad drink that left him the Paris-Roubaix of 2018. In this appointment, the Lithuanian suffered a real ordeal only to finish the stage, since was the last of the test (suffered several breakdowns, took the spare wheel going up to the crane where the car of his team was ...) Roubaix arrived out of control when they had closed the doors of the velodrome. According to Siskevicius said, he did not think about getting into the broom car and leave the test "out of respect for the organization", heroism for which it was repeted. This history of improvement saw its reward in the 117th edition of the Paris-Roubaix held last Sunday. Beyond the success of Gilbert Philippe conquering the fourth monument different from his impeccable career (only San Remo is missing), Siskevicius was the great protagonist of the day. And it is that the Lithuanian, at 30, did manage to finish the race and not only that: he signed an excellent noveno put in goal, to 47 seconds of Gilbert. The runner of the Delko team finished the race in the top-10 and among the best, something within the reach of very few, seeing their previous year's effort rewarded, when he summed up what happened, as recorded by Eurosport: "I do not like to give up the bicycle or other things in life, nor I wanted to give up out of respect for the organization. The Paris-Roubaix is a monument that you must honor.I arrived at the velodrome and the organization had already closed the door, but they were understanding and allowed me to enter and turn around the track. "